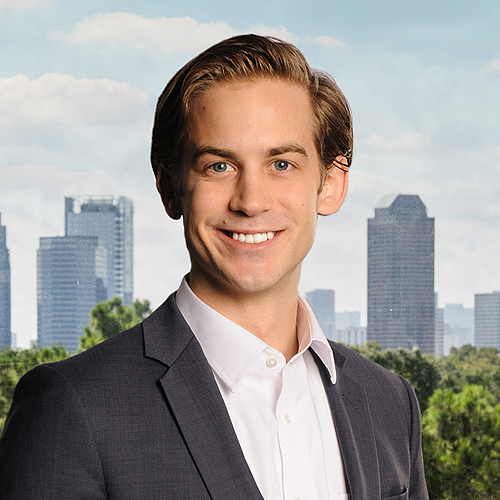 Andrew is a Houston-based associate with PinPoint Commercial specializing in affordable and conventional multifamily, and active adult housing. Andrew is responsible for financial modeling, market determination, site analysis and selection, and pre-development for PinPoint’s active adult and conventional multifamily properties. Prior to coming to PinPoint, Andrew worked at Stream Realty Partners and Caldwell Companies in brokerage, acquisitions, and investment sales of land, office, industrial, retail, and multifamily properties. Andrew also serves on the Board of Directors for the Mission Centers of Houston and Northeast Houston Disaster Recovery.